Mountain Rescue Teams, across the UK, make use of the latest technology with the aim of pinpointing lost walkers. While they have the ability to locate smart phones with bespoke SARLOC software, this technology does rely on the availability of a data signal which, as we all know, can be unreliable in the hills and mountains of Scotland. Therefore, in a call to all hillwalkers and mountaineers, we have decided to ask you to help us! 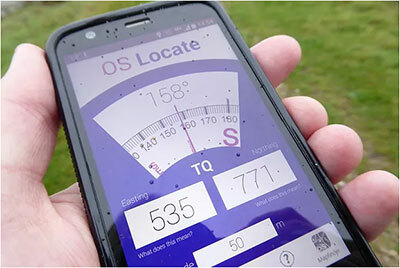 If you own a smart phone we would like to ask you to consider installing the 'free' Ordnance Survey app OS LOCATE onto your Apple or Android phone. This simple app provides an accurate, easily readable UK Grid Reference that you can provide to the emergency operator, should you ever have to call on the services of Mountain Rescue.